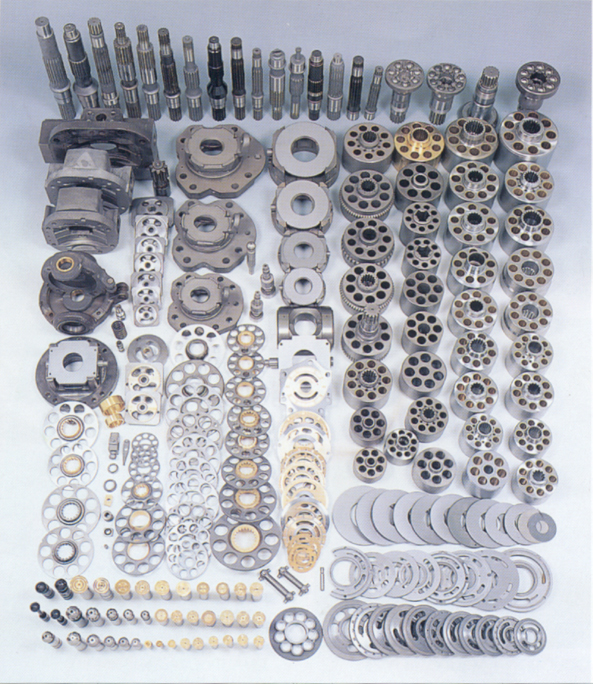 SAMT Hydraulics can supply all replacement Vickers TA1919 / TA19 series hydraulic piston pump parts our SAMT Branded manufactured parts are completely interchangeable with original Vickers OEM products. Our Parts are manufactured with best materials using advanced manufacturing facilities & skills, strict heat treatments, 100% quality certifications and covered by 12 months warranty. Parts Description: Piston Shoe, Retainer Plate, Ball Guide, Cylinder Block, Drive Shaft, Valve Plate R/L, Swash Plate, Saddle Bearing, Limiter, Spacer.